Madame Tricot is also a psychiatrist and she has experienced the therapeutic effect of knitting. The rhythmic, bilateral, repetitive activity, associated with the complex cognitive process, is one of the best therapeutic tools to treat traumata. Knitting is really Zen and one of the best ways to improve awareness. Descartes wrote “Cogito ergo sum” (I think, therefore I am) and reduced thereby the human being to one function. Antonio Damasio, Professor of Neuroscience at the University of Southern California wrote a book with the title „I feel, therefore I am“, trying to integrate the body-mind concept (body, mind, emotions and spirit are dynamically interrelated). Madame Tricot’s slogan is: „I knit, therefore I am. I am, therefore I knit“. It means: I think, I feel, I create, I move coordinated, therefore I am in myself. 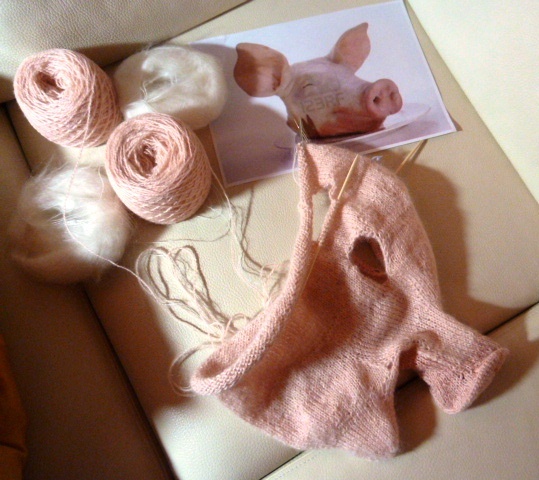 Only knitting allows the creation of a smooth skin-like surface. Crocheting is commonly used for sculptures, because it allows the creation of every detail precisely and easily, but it has the disadvantage of producing always the same rough pattern. On the other hand, with knitting there is the possibility to change the pattern and to adapt it to the desired effect. The combination of crocheting with knitting gives you unbounded possibilities to realise very realistic works. Additionally, a carefully chosen yarn improves the realistic representation of the objects. Every object is free-style knitted (without a pattern and without counting the stitches) and also seamless. Every Item is unique. I experimented with three ways of knitting and tried to feel the effect of every way. The first way is to follow a pattern exactly. When you follow a pattern, you have to focus your mind on the script and hold the explanations carefully in your mind in order to reproduce the exact pattern. This needs concentration and focus in combination with rhythmic, repetitive, alternative movements of the hands. This is the best way to heighten awareness. It doesn’t need specific ability, only regular practice. The second way is the way of the artist. You have your own picture and pattern in your mind and follow the inner picture; it is a similar way to the first way and has the same effect. The third way is the way of the free forms. You knit without use of a picture or pattern, totally free without wanting to reach a goal; it is knitting for its own sake. Because you do not have an inner image, you get curious about what you might create at the end and can be a very exciting way. It is excellent for very controlled persons, because they have to let go. 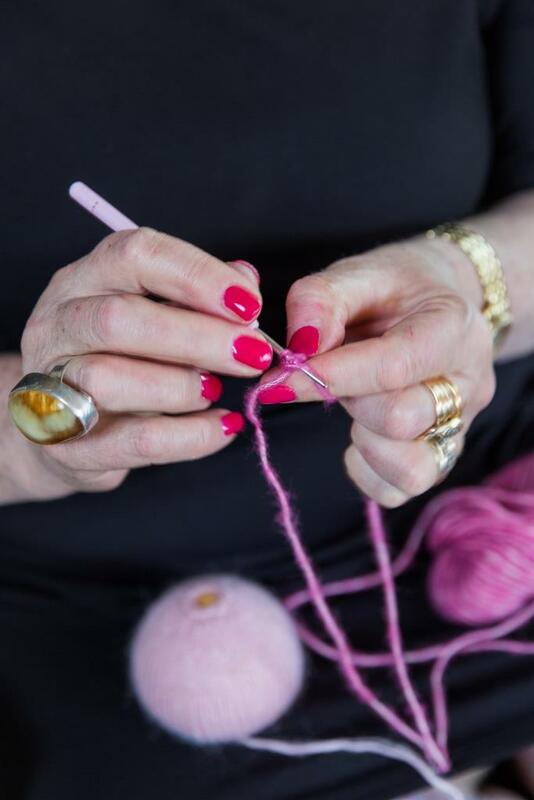 For beginning knitters, learning a new skill activates the brain cells and increases the number of synaptic connections inside the brain, even for older people. The adage „use it or lose it“ applies to the brain as well as the muscles. Learning a new skill can keep the brain active and minimises age-related decline.